On Thursday, March 21st, Hong Kong Healthcare Drinks and McCann Health will host a fireside chat with Erika Cheung. Erika reported Theranos to a regulatory agency that stopped the company from using unsafe practices on patients across the United States. Erika will give an insider’s perspective on the rise and fall of Theranos and the resulting lessons learned for entrepreneurs and professionals in the healthcare industry. Theranos was valued at US$10B and dropped to US$0 in a year losing nearly $1.4B dollars in investment. 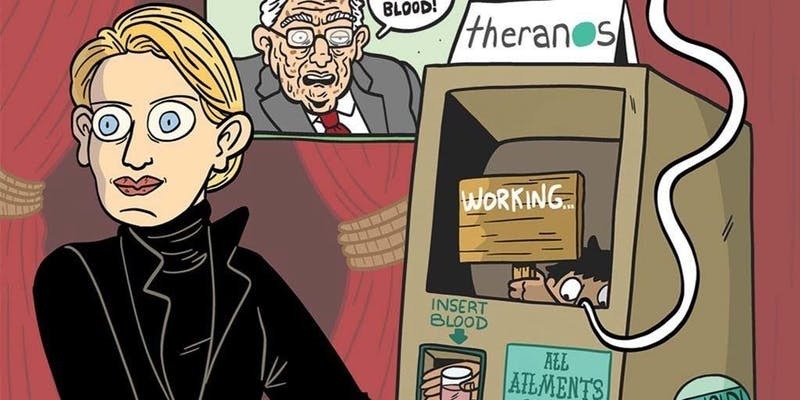 Theranos’ founder, Elizabeth Holmes, was praised as ‘the next Steve Jobs of healthcare’ and is now facing up to 20 years in prison. Her story has been the subject of books, articles and now the latest documentary, ‘The Inventor: Out for Blood in Silicon Valley’, which investigates the rise and fall of Theranos with testimony from key insiders including Erika. Erika is the Program Director at Betatron, one of the biggest startup accelerators in Hong Kong. She is the founder of newly launched non-profit Ethics in Entrepreneurship. She is passionate about building entrepreneurial communities. She has been involved with organizations like Innovate Pasadena, Global Biotech Revolution and Women in Tech. Erika has a degree from UC Berkeley and turned down offers from UCSF & Stanford to pursue her career with startups.